There are a lot of companies that develop online slots and other casino games. The industry has been particularly active and vibrant in the past years, and even decades. In fact, ever since the first online casino went live and players started going online to play games instead of visiting their local casinos, the game software development industry blossomed. Many companies were launched at the same time with or shortly after the first few online casinos, but there few development companies that have been active previously. Incredible Technologies, or ITS Games, as they are colloquially known, are one of the game providers that have been around for quite a while. The company was launched back in 1985, and they have developed quite a lot of products and services since. As we mentioned above, ITS Games was founded in 1985, and the company has grown successfully over the years, adapted to the changes on the marked and launched some quite exciting and innovative products in the last three decades. In the early days, ITS Games made pinball games and their developers spent their days writing code for pinball games, as well as doing animations. It was two decades later when they decided to enter the casino gaming market and that proved to be a step in the right direction. The company’s primary motive in all these years was to remain dedicated to innovation and originality. They aimed to produce every game in line with that strategy and that also applies to hardware pieces and game cabinets. The company is owned privately, it is based in the US and they are members of multiple associations of casino game software developers, such as the Association of Gaming Equipment Manufacturers, the National Indian Gaming Association and more. The company’s journey has been a rather exciting one. A lot has changed in the past three decades and ITS Games has changed too. The only thing that remained the same are two founders. The story began in 1985 in Rolling Meadows, a small town located northwest of Chicago, Illinois. The company was founded by Richard Ditton and Elaine Hodgson. Hodgson is still the President and CEO of the company, whereas Ditton plays the role of Executive Vice President. Capcom Bowling was the first game produced by ITS Games back in 1988. The product was quite popular and successful. During the next year ITS released Golden Tee Golf, another innovative product that served as a basis for the company’s growth. In 1985 the company launched their Strata products. There were more than 15 coin-operated titles, including a sequel to Golden Tee Golf, Time Killers, Strata Bowling and other popular games. A third version of Golden Tee Golf was launched in 1995, but this game was really special, it was a 3D version. 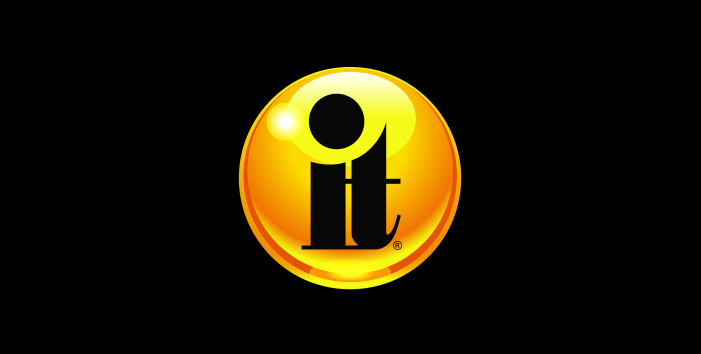 In the same year the company introduced their International Tournament System on the market. In 2000 ITS Games launched the fourth version of their most successful product named Golden Tee Fore which was incorporated in the International Tournament System. More than $50 million worth of prizes were received by players who participated in the skill tournaments in the upcoming five years. Big Buck Hunter also was released in 2000. Silver Strike Bowling was released in 2004. The game was, of course, in 3D and it was updated twice in the upcoming years. 2005 was perhaps the most important year in the company history. This is when ITS diversified and started developing casino products. ITS became a licenced developer of electronic casino gaming machines Class III. The fifth variant of Golden Tee was also released in 2005. This was a live version of the game which became available to a larger audience. In 2008, PowerPutt became available. This was a mini-golf game, similar to the more recent versions of Golden Tee Golf. 2011 was another very important year for ITS Games. The Magic Touch casino gaming platform was released, and this was ITS’s first suite of casino games. 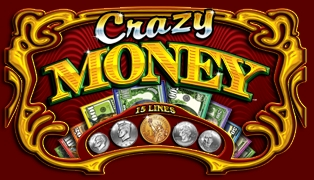 Some of the most popular titles offered on the platform were King of Bling and Crazy Money. The company made preparations to enter some of the top gaming jurisdictions. The Infinity platform was launched in 2014 and with this product the company strengthened its presence on the gaming market. The games were upgraded based on their earlier products with a lot of new and innovative features and a digital display. In 2014 ITS Games also marked its 25th anniversary. By then, the company has sold more than 100,000 gaming units with strong presence across all continents. Infinity Skybox was released in 2015 and this product featured a 55” displayed which was presented at the top of the famous U23 game cabinet. This product made the company even more competitive in an otherwise highly competitive market. Infinity Super Skybox followed, and this product was released in 2016. That is the company’s latest product of significant importance, but we are sure we can expect something from them in 2018. As we mentioned, ITS Games are more active on the land-based gaming market. Their cabinets currently feature 70 different slot games. We can’t go through all of them, so we’ve selected some of the top few. Celestial Goddesses – This is an exciting game, part of the Solar Jackpots network and its exclusively available on the Infinity Super Skybox. The game features 30 paylines and the Goddess Stack Scatters pay when a minimum of three scatters appear anywhere on the reels, not necessarily across an active payline. The game features multiple wagering options and it is really flexible in that matter. Wild Spell – This game tells the tale of two seductive sorceresses. This game has 25 paylines which are fixed and it can be played with multiple denominations. When it comes to features, you can activate a Free Spins Bonus, Add-a-Spin bonus, Wild Spell and duplicated wilds may also appear.